Bakas highlights “New nomads of like-minded global citizens will live part time in different places around the world. They are connected emotional, virtually and culturally. They have no homeland any more. The new nomads are one of the pillars of tomorrow’s world”. This trend is one of the main drivers of the upcoming labour force – Generation Y @ work- which we are researching for the Life Rhythm Knowledge Centre, more about this research soon. 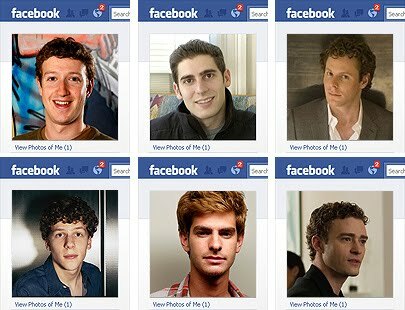 If ‘Wall Street’ was the movie about the eighties and ‘Trainspotting’ perhaps the nineties, then ‘The Social Network’, a film about the rise and rise of Facebook and its creator Mark Zuckerman,is distinctively one of the year zero. The success of Facebook is inextricably linked to the zeitgeist. Social networking now is the number one activity on the web and Hollywood took notice. This November a new docu-thriller “Catfish” will premiere in cinema’s.. Above the key players: Mark Zuckerberg, Eduardo Saverin and Sean Parker. Under their performers: Jesse Eisenberg, Andrew Garfield and Justin Timberlake.